Up to this day, the technology just keeps advancing and giving us further convenience including musical “experience”. The establishment of Youtube channel, Spotify, iTunes and so on, enables us to enjoy abundant of music materials. Not only that, the advancing internet streaming also gives us the option to watch “live” music performance anywhere in the world with the comfort at our own home. However, live streaming, even in real time, is still not real live. Virtual “live” music performance lacks of real connection between the audience and the performing artist(s), not to mention the live atmosphere that takes place during the performance. Experiencing live musical voices, melody, rhythm and harmony could enhance our emotion, and elevate our sensibility; being there in the crowd could also give us the sense of commune. So no matter how advance the broadcasting or streaming technology is, real live performance still cannot be replaced. In the recent Java Jazz concert, Listen to the World (LttW) had the opportunity to briefly interview Dr. Lonnie Smith, a prominent Afro American Hammond keyboardist. We incidently ran into him in the hall way right before his gig started. Although in a hectic situation, he kindly granted the interview. During his performance, we felt his glorious spirit through his mimic, keyboard playing, and his rhythm improvisation on electric pad drum. Obviously the emotion and power of his performance hits our vein at the time. 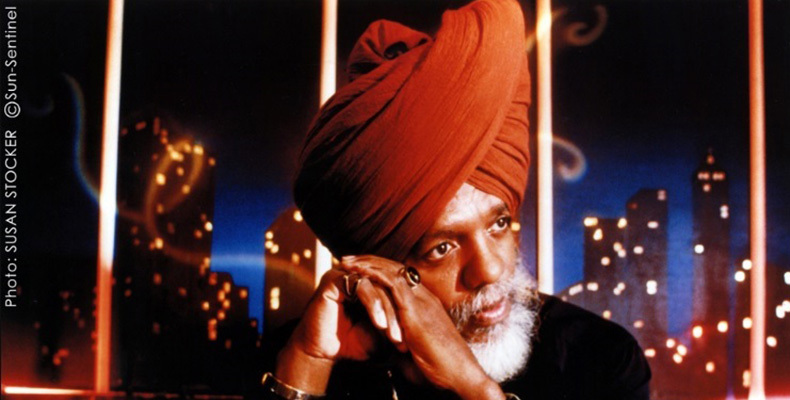 Dr. Lonnie Smith is an unparalleled musician, composer, performer and recording artist. An authentic master and guru of the Hammond B-3 organ for over five decades, he has been featured on over seventy albums, and has recorded and performed with a virtual “Who’s Who” of the greatest jazz, blues and R&B giants in the industry. Consequently, he has often been hailed as a “Legend,” a “Living Musical Icon,” and as the most creative jazz organist by a slew of music publications. Jazz Times magazine describes him as “a riddle wrapped in an enigma wrapped in a turban!” Always ahead of the curve, it is no surprise that Dr. Smith has a worldwide fan-base. Dr Smith, you seem like a very peaceful person, what’s the key to that? Relax… Take life easy, because it goes so fast. People tend to do everything. So don’t rush doing it all. You said Hammond B3 is your favorite organ that has all of the elements, like fire, rain. Is it the sound or the feeling? It is the feel and also sounds, and when I was playing it was like electricity, it’s like a plane flying through my body. So it has everything that could happen; when it passes you can’t beat that. Being in Jakarta, it’s really far from US; with the internet streaming, you can actually perform live for millions people from your home, why bother coming here? I want to play for people in different places and see other flavor of experiences and so on; being here it’s real, not fake. One on one with the people is worth it; it’s worth all the traveling. When you play for people, right there, nothing beats that. If you play bad, then you want to play more. It’s worth something that you always cherish in your life. Don’t have to worry about on and off or stuff. I may fall when I didn’t finish what I had to do. When I said passed, I will return to complete my work. It’s nothing that real as far as I know. It’s special; I was brought to earth to play music. That’s why I want to [keep] playing ‘live’. 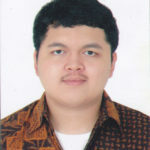 Garry Pawitandra Poluan was born and raised in Jakarta, Indonesia. Yeah, we could also expect the unexpected on live performance! I like his song !